Entrepreneurs grow faster when they work together. The biggest breakthroughs come as a result of who you meet along the way. You are as lucky as you are bold. Opportunities show up when you put yourself in front of them. It is every business owner’s responsibility to grow as much as their intellect and network will allow, and it’s our responsibility to help you expand each. The “Stage Zero” programs will show you how our members have become clear on their ideas, put it in front of customers, and grown it to the million dollar level. You can utilize the same strategies, even if you have never built a business before. You will also meet investors who can provide you with capital, and marketers who can bring you products and services to the world. Tribe members know that marketing is the fuel for leads and sales, so they build active audiences that believe in their message and their products. If you have an audience on YouTube, email, podcasts, Instagram, or Facebook, The Tribe will help you monetize your following and introduce you to businesses who want to partner with you. Want to diversify your income and achieve high ROI potential? Partner with Product Owners and be the “shark” to their empire. Plus, our investor network shares investment strategies, deal flow, and market projections. As an investor in The Tribe, you will have deal flow served to you from our pool of trained and talented entrepreneurs. and marketers who can put your products and services in front of more leads and customers, so the path to growth is clearer, faster, and easier. 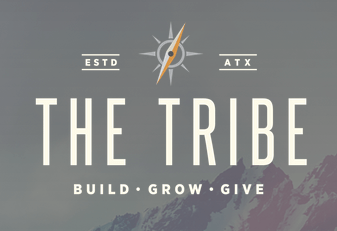 Serving both industry transformers and driven entrepreneurs, The TRIBE provides access to knowledge and resources to make future endeavors happen in a thriving and safe environment. Inside of the Breakthrough Business Bootcamp and our regular trainings, you will discover the strategies that are creating the greatest results for other high-level entrepreneurs. Plus, you’ll create partnerships and strategic alliances through the Network, the Local Chapters, and the yearly Summit. Need business ideas? They are in The Tribe. Need investors? They are in The Tribe. Need partners? They are in The Tribe. Need more deals? They are in The Tribe. Let us incubate your business by hand-selecting potential investors, marketers, and partners that you need to meet. In our Incubator program, we will introduce you to your highest leverage relationships to put your brand, your message, and your business in front of those that can help it grow the most. WHAT IS IN THE TRIBE? If you are ready to expand your business possibilities, you will want to join us today. 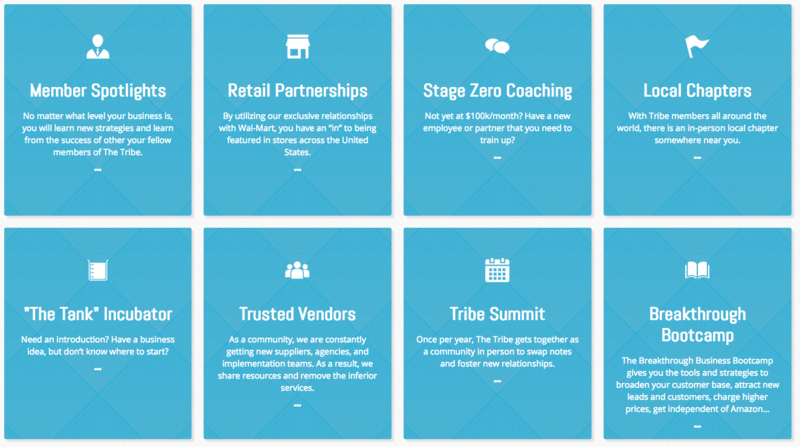 Here’s what you get access to when you join The Tribe. Private Label Masters Discover The Insider Methods Used By Top Amazon Sellers To Build A Winning Private Label Business.